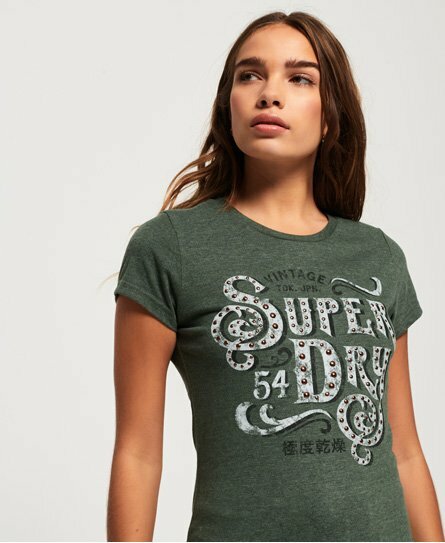 Superdry women’s Frontier script studded entry t-shirt. This crew neck, short sleeve tee is a great layering option to have in your wardrobe this season. Featuring a faded Superdry 54 logo across the chest with studded detailing and a Superdry tab on the hem. This tee is an essential for your off-duty attire and would look great paired with jeans, joggers or even tucked into a leather skirt.